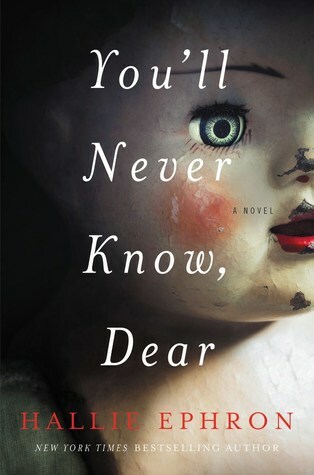 You’ll Never Know, Dear by Hallie Ephron is a 2017 William Morrow publication. Three generations of women work to find the answer to a forty- year old puzzle in which the biggest, most important clue is a priceless porcelain doll. Miss Sorrel, is a doll maker and collector, who at one time had a booming doll making business and made a name for herself among collectors. But, the doll that means the most to her, the one she is always in constant search of, is the one that disappeared along with her daughter, Janey forty years ago. Lissie never got over the disappearance of her younger sister and always blamed herself for what happened. The incident has haunted her all her life, even through marriage, divorce, and motherhood. Vanessa is Lissie’s only child, a sleep/dream researcher who returns home after her grandmother has a health scare. Little does she know her area of expertise will come into play while she is there. With all three generations now under one roof, the women are ready to seriously consider the possibility that Janey’s doll has found its way back to them and that the doors of the decades old cold case are about to blow wide open. I thought the cover of this book was a little creepy, and the title was intriguing. While the missing child theme is hardly a new one, I always find this to be a compelling storyline, and also falls within my favorite mystery trope- the cold case. This book also appealed to me in a way because my grandmother made her own ceramics, and on occasion made porcelain dolls, as a hobby. Not only that, my daughter had a nice doll collection we displayed behind glass when she was younger, so I could understand the value and work that goes into the making of these dolls. The mystery is intriguing, and kept me interested, and guessing for a good while, but I did guess who was behind the kidnapping before it was revealed. Still, I couldn’t figure out the motive, so there was still an element of mystery to keep me invested in the story. There were a few too many conveniences, and for some reason the dream thread didn’t do anything for me. But, I did like the way it all came together in the end, although one may have to suspend belief a little for it to work. However, the feel good, grab a tissue, emotional parts won me over, causing me to overlook a few implausibilities. I’ve never read anything by this author, so didn’t have any expectations one way or another, but I liked this book well enough to give the author’s other work a try. Even though it wobbles here and there, I enjoyed the book, overall. 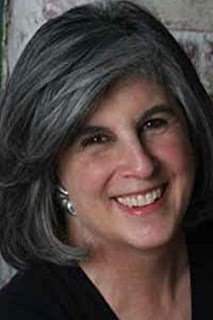 New York Times best selling author Hallie Ephron loves suspense, and her suburban-based thrillers draw you in and keep you turning the pages. She grew up in a Hollywood family of writers in a household filled with books. Her parents wrote screenplays for classic movies like THE DESK SET. Hallie was the last of their four daughters (Nora, Delia, Hallie, Amy) to start writing or, as she calls it, succumb to her genes.